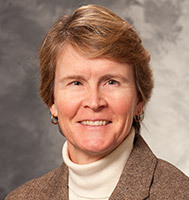 Dr. Hartenbach is the Vice-Chair of the Department of Obstetrics & Gynecology, University of Wisconsin Medical School, the Obstetrics and Gynecology Residency Program Director and an Associate Professor with tenure in the Division of Gynecologic Oncology at the University of Wisconsin-Madison School of Medicine and Public Health. She completed her residency at the University of Missouri and her Gynecologic Oncology Fellowship at the University of Minnesota. Dr. Hartenbach holds board certifications in Obstetrics and Gynecology, Gynecologic Oncology and Palliative Care. Dr. Hartenbach joined the University of Wisconsin in 1995. Her passions are the delivery of compassionate comprehensive care to women with gynecologic cancers and to the development and refinement of strategies to improve cancer outcomes. She is a busy clinician, surgeon, administrator and researcher with a strong interest in clinical cancer trials and medical education. Dr. Hartenbach is recognized as a leader in the field of Gynecologic Oncology and has spoken extensively at national meetings since 1992. She is also passionate about improving the quality of life of patients and their families facing life-threatening illness and is a dedicated to providing Palliative Care to her patients. In addition, Dr. Hartenbach works with the UW Breast Center and counsels patients who have hereditary risks for breast and ovarian cancer. Dr. Hartenbach has acted as Principal Investigator or Co-Investigator on more than 14 grants from various organizations, including the National Institute of Health. She is also an avid journal reviewer to ensure quality research is disseminated appropriately to health care providers. She has authored or co-authored more than 50 peer-reviewed journal articles and has co-authored two book chapters. She is also an examiner for the ABOG oral boards for Obstetrics and Gynecology. Dr. Hartenbach's research interests include ovarian cancer prevention and early detection, evaluation of sentinel lymph node biopsy techniques for cancer, peri-operative pain control and ovarian cancer therapeutics.